Such beautiful denim! These jeans are super long - I am thinking I might have to purchase a second pair and hem then so I can wear them with flats. 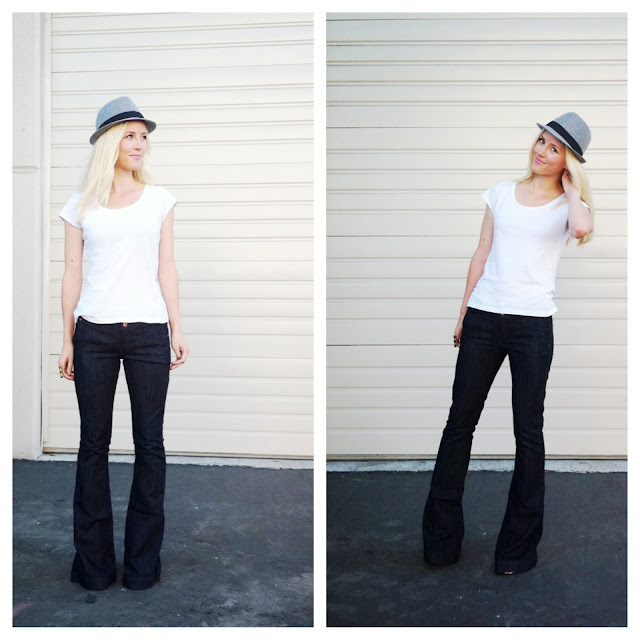 Do you have any flares in your closet? 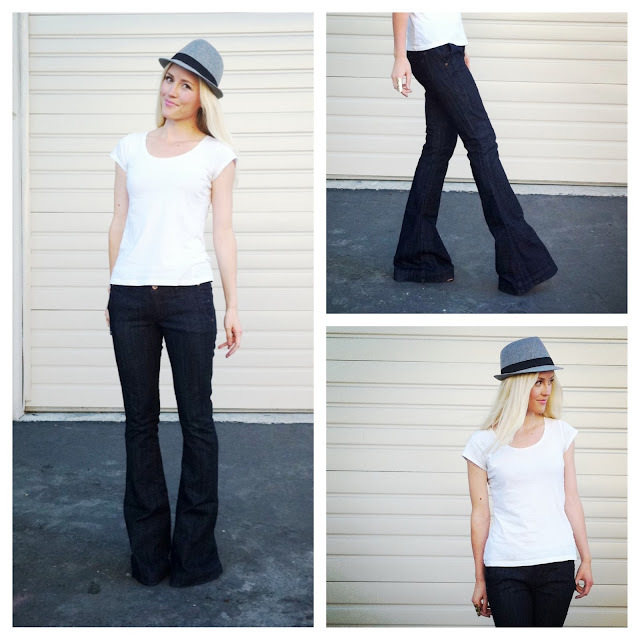 Love the hat and flares!!! Absolutely love the jeans! You look amazing in these! I will always love flared pants. I think they look so cool.